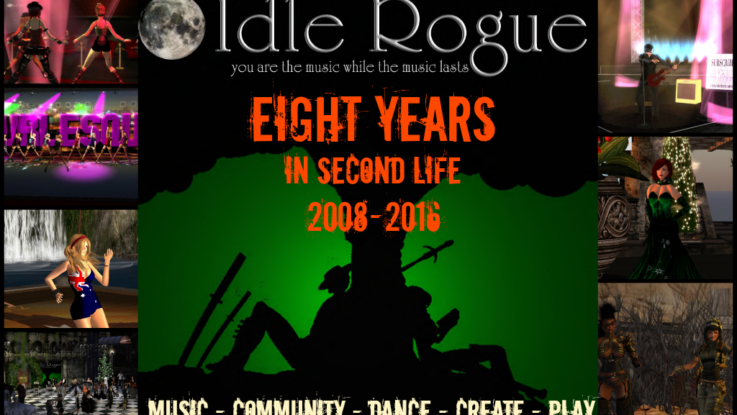 Happy Birthday Idle Rogues, your community is eight years old on November 8th. A brief origin story exists over on the old blog, but the story is long and has many twists. Some of our highlights from the last eight years? The many beautiful and eclectic friendships that have formed on Idle Rogue, and those who wandered in and made it their home. Working to bring well known musicians like The Eden House, Dalek, and Riz Maslen into Second Life and our Music² benefit for indie musicians.